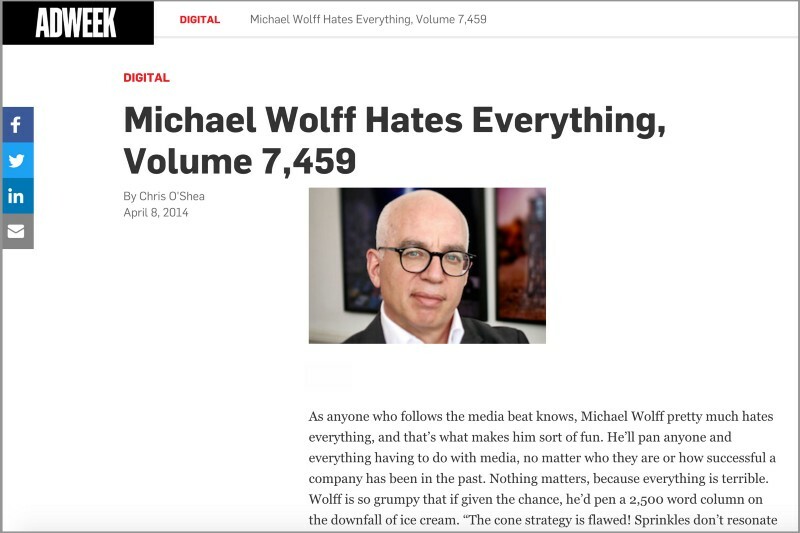 Michael Wolff is a born reporter, driven to dig deep and to find out what makes his subjects tick and to disclose it. He loves gossip and unlike many modern reporters publishes what he hears, often with relish and a studied distance from his subjects, many times irritating the rich and famous. He stands apart from the media circus, often bringing him into conflict with more staid (he would say self-righteous) members of the U.S. media establishment. Nowhere has this studied independence been more apparent than in his criticism of the U.S. media’s frenzy on the candidacy and ultimately the presidency of Donald Trump.